A few weeks ago I was invited to join ten other food bloggers and media people on a day-long field trip to visit Rapphannock Oysters. And so I skipped my normal Friday night salsa dancing, set my alarm clock for 7 am (that's earlier than I wake up on my typical weekdays! 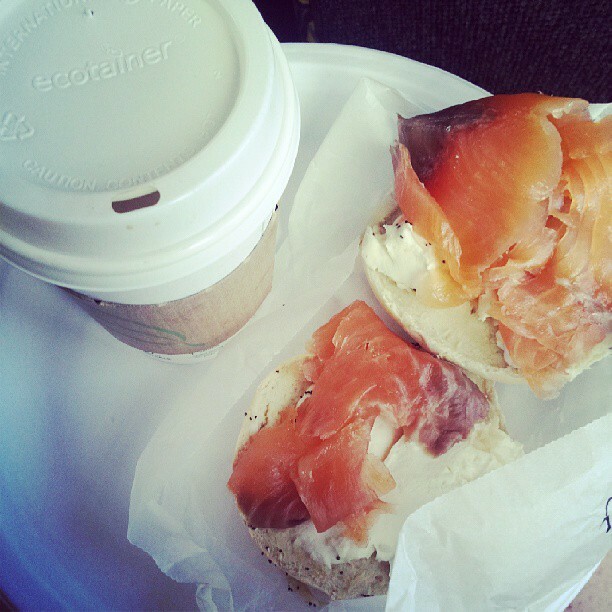 ), put on sunscreen, packed an extra set of clothes just in case I got soaked, and headed out to Union Market. That's where Ryan was awaiting with The Roadie and multiple boxes of food and beverages. We were going to be fed and hydrated amazingly well on this trip. 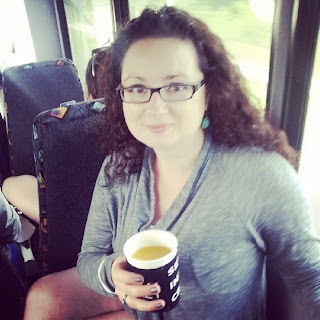 This is me drinking a mango mimosa (followed by a Bloody Mary) prepared by Gina Chersevani of Buffaloandbergen.com and eating bagel with cream cheese and lox. Since the drive to the Rappahannock Oysters was more than two hours, we needed snacks. So there was plenty of cheese from Righteous Cheese and cured meats from Red Apron Butchery, not to mention bread from Lyon Bakery. And then we got to the paradise. Seriously, the weather could not have been more perfect. It was slightly overcast and not at all humid for the DC area summer day. There was a bit of a breeze and the views of the water were so peaceful. Stepping out of the The Roadie, we met owners and operators of Rappahannock Oysters Ryan and Travis Croxton, who happen to be cousins. "Make Bay oysters consistently available, allow customers to once again appreciate the unique flavors of the Chesapeake Bay region, and sit back as the tide builds. For your part, the next time you order oysters, order them by name: Rappahannocks, Stingrays, Snow Hills, Olde Salts. And if the restaurant doesn't serve them - tell 'em to give us a call. Or order yours online!" 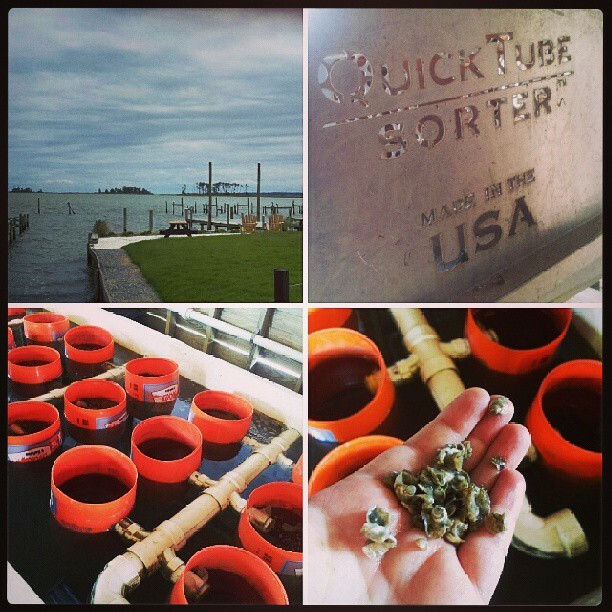 We saw how oysters grow and get sorted, and I even got to touch tiny oysters just a few weeks old! Don't worry, I did not eat those. "Today our oysters are grown "off bottom," positioned squarely in the water column where food quality and quantity are greatly improved. Not only do the oysters grow faster, they grow richer, plumper, and rounder - and all under our watchful eye. We monitor salt and temperature levels, guard against predators, cull out slow growers and misshapen shells - all to ensure that the customer gets a consistently healthy, attractive, and succulent oyster." We also got to go out on a boat and see oysters on the line. "Until the day they're ready to ship, our oysters are left feeding in the cool algae-rich waters, marinating in that perfect balance of minerals and brine to produce the unmistakable perfection that is the Bay oyster." Everyone managed to stay inside the boat and dry ;) In the photo above, Laetitia and I relax after our hard work (just kidding!). And then it was time for lunch! I've had Rappahannock Oysters several times at their Union Market location (read about it here) and even cooked them in my own kitchen. This time, I got to try them at the Merroir. Below are just some of the dishes we got to try out. I loved them all. It's really amazing how relaxing and almost magical it is to eat good food out in the fresh air by the water with fun people! 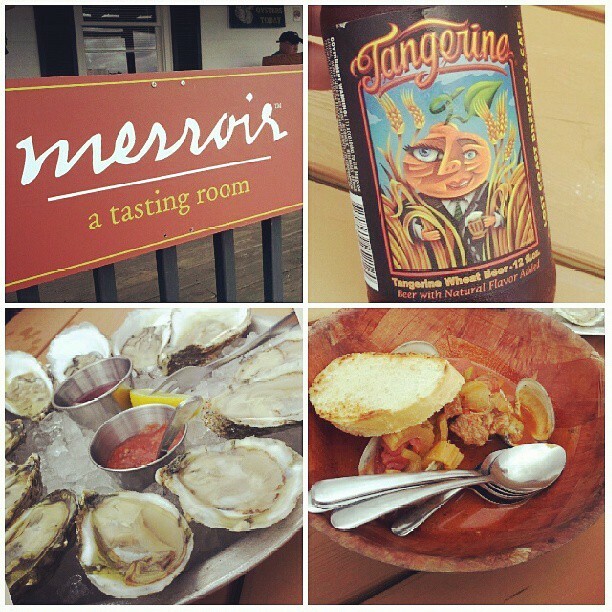 Above: tangerine beer, fresh oysters, and lamb & clams. 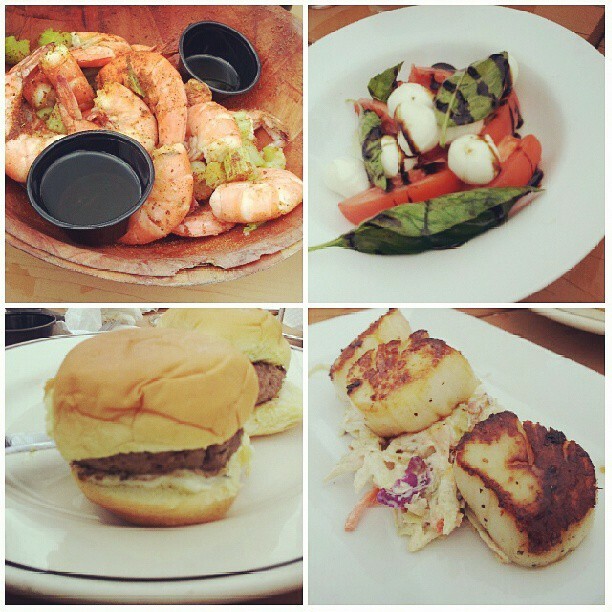 Below: shrimp, mozzarella/tomato salad, lamb sliders and scallops. 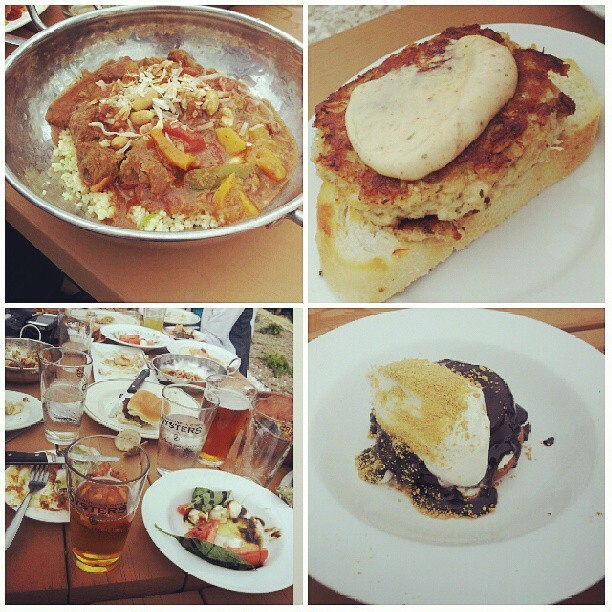 Oh, there there was more food: lamb with cous cous, crab cakes, and a s'mores donut!!! On the drive back to DC there was iced tea from Pearl Teas and cupcakes from Curbside Cupcakes. That was a long day full of so many wonderful memories!! I'm so lucky I get to participate in such events. 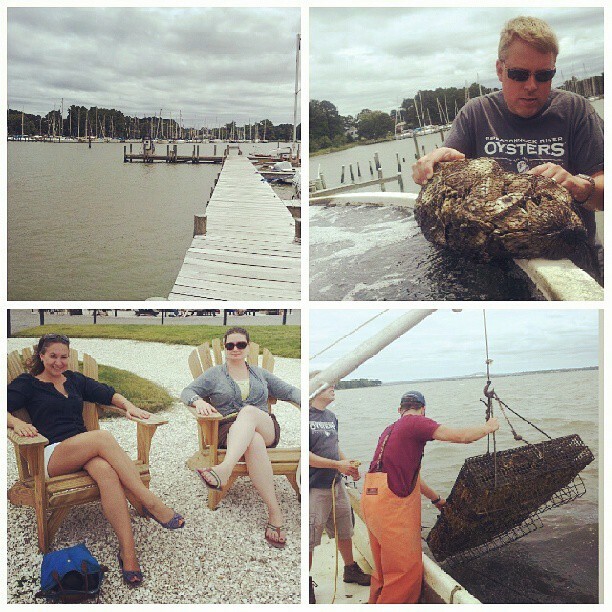 Special thank you to Ryan, Rappahannock Oysters, Union Market vendors, and Edens. I have been there several times and the Olde Salts are my absolute favorite oysters! What a feast! Love the tiny oysters.